With several British companies already offering subscribers a monthly box of new bottled beers, you might think there isn’t much room in the market here for yet another monthly beer box. 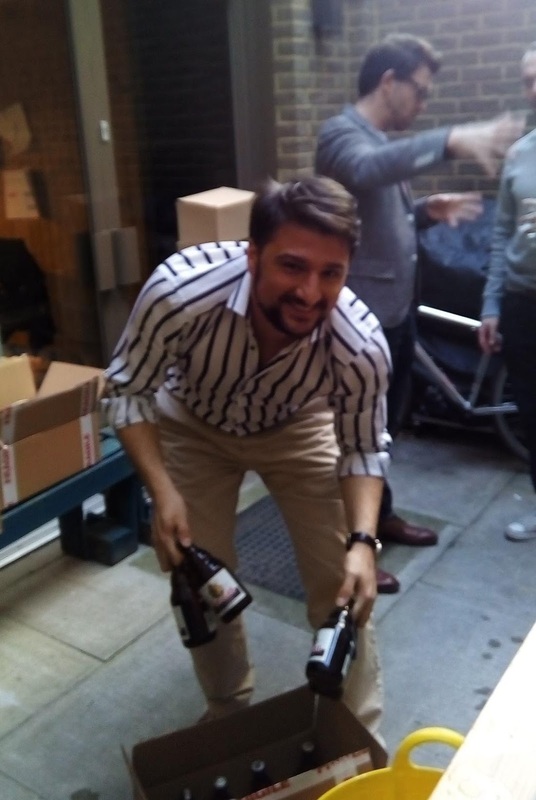 Belgibeer’s Dario Ceccarelli thinks otherwise though, and having built up his business across mainland Europe, he has just opened a UK office as well. The difference is that other beer clubs might focus on British brewers, say, or try to do a world’s-best type of thing that’s great for new explorers but probably won’t impress aficionados (“A bottle of Orval/Vedett IPA/Flensburger Gold? Mr Ambassador, you’re spoiling us!”). However, each monthly Belgibeer box contains only beers from a single brewery – and as its name implies, all the breweries are Belgian. He said that even though many drinkers – and most Belgians – think they know Belgian beer, they don’t really. That’s due to the market dominance of AB-Inbev (Stella, Jupiler, Leffe, Hoegaarden...) and to a lesser extent Heineken (Maes, Grimbergen, Affligem...), which means that pretty much anywhere you go in Belgium, you will see the same macrobrews on the menu. Yet the country has hundreds of good small brewers, almost all of them little known abroad. 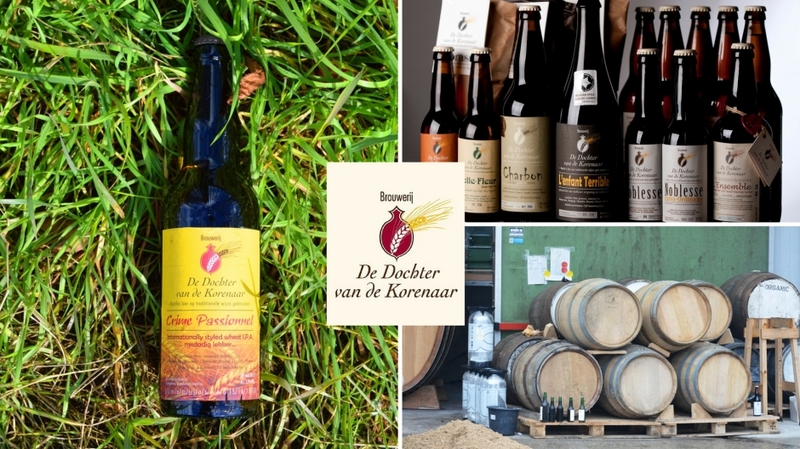 Some produce only traditional Belgian styles, a few focus on international craft styles, and many brew the best of both worlds. The volume he’s able to buy means that these brewers will sometimes do specials for him, for example packaging a beer that’s normally only in 70cl bottles in smaller ones instead. Also in the box you get a Belgibeer magazine profiling the brewery and introducing the beers – they visit each brewery they work with. It’s trilingual (English, French and Dutch) and is both slightly cute and a bit politically incorrect, in a way that suggests Belgium must be fortunate enough to lack a bunch of humourless drinks-nannies like the Portman Group. As well as subscribing for regular deliveries, you can buy one-off cases and a range of ‘extras’, ranging from branded glasses to bottles of Westvleteren 8 and 12. Dario noted that beer boxes have become a popular gift item – he said that in France 80% of Belgibeer’s clients are women, with many of them buying the boxes as gifts through a gift-box website. If I have a minor reservation, it is that other beer clubs typically send eight (or 12) different bottles. Like most smaller brewers though, Belgian breweries produce a relatively modest range of beers at any one time, so each Belgibeer box only contains four different brews (two bottles of each). 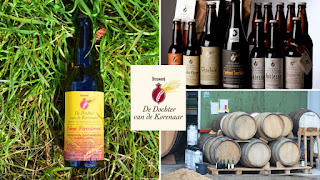 Still, the aim is to have each box as internally varied as possible, and the breweries chosen are often little known outside their provinces, never mind outside Belgium. For example, I’d not heard before of some of the breweries featured recently, such as Brasserie de Cazeau and Brasserie Sainte Hélène, both in Wallonia. Others I’d heard of but barely sampled, such as Vicaris and De Dochter van de Korenaar. One recent box was from van Steenberge, and while I’d had the regular Piraat 10.5 before, the box’s other three beers were new to me – including the excellent Triple Hop and the Gulden Draak 9000 Quad. Belgibeer’s UK pricing depends how long you subscribe for, fitting in with the competition at around £3 a bottle. That’s pretty good for delivered beer, especially when quite a bit of it is over 6% – and much of it is likely to be unavailable anywhere else in the UK.